The Dell Thunder seems to becoming rather popular lately. Engadget scored another exclusive yesterday, as they posted up a hands-on review of the two Dell Thunder handsets they received from an undisclosed source. The two handsets differed in terms of the internal hardware, featuring different Android OS verisons, different supported rado bands, display resolutions, and one of them was lacking the back cover. ...you're looking at two Dell Thunder prototype smartphones, each with some surprising quirks, and hints that they might include global HSPA, AWS for the likes of T-Mobile, and maybe even a dash of CDMA support. We'll warn you ahead of time that these are labeled EVT1 for "engineering verification test" and date back to the April leak, so they're about as early as you can get -- don't expect the final handset to arrive without some significant differences. Android Central notes that differences in the two handsets indicate that "things like the final screen resolution and version of Android are still up in the air." Engadget also believes that the phones may come in variants suitable for T-Mobile, Verizon, and AT&T. Android Central adds that "even though these are just prototype units, they sure look good." TalkAndroid also seems impressed by the handset, noting that "the Thunder happens to grab attention with its unique design of a curvy screen." 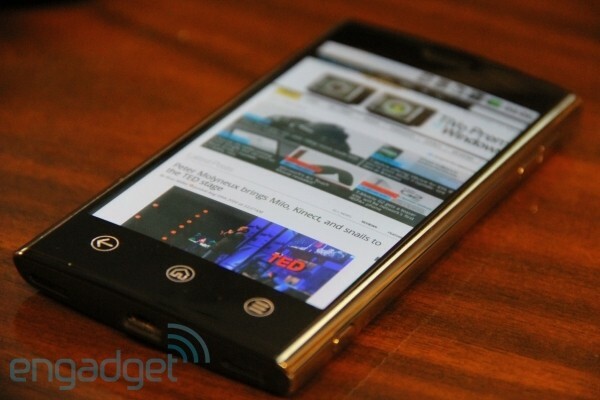 Head on over to Engadget to take a look at their gallery of images. Did you stick to computers?